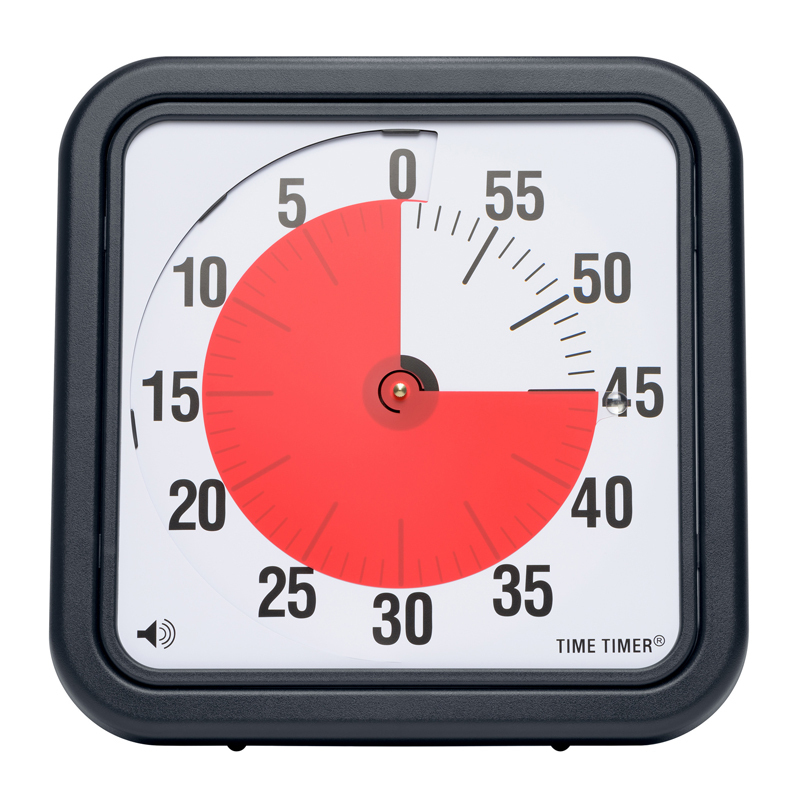 The 12" Time Timer is the heart of any classroom or boardroom. Students learn more when teachers are able to spend more time teaching instead of refereeing. Meetings stay on track when everyone in the room knows how much time is left. -Sharpen concentration when students try to finish "before the red is gone"